Locally grown, locally vinted, locally available, locally enjoyed! 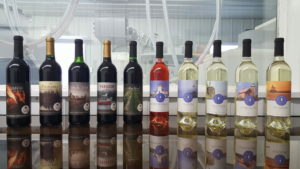 Lake Superior Lighthouse series white wines are crafted to reflect the terroir of Blackhoof Vineyards. Lake Superior’s windy spring days help us grow crisp, full bodied white grapes. North Country series red wines are crafted to reflect grapes grown during summers of long sunlit days and short cool nights.